THERE’S NO “I” IN P.N.G. I slipped in and out of sleep for the whole 5 hours of the flight from Manila. 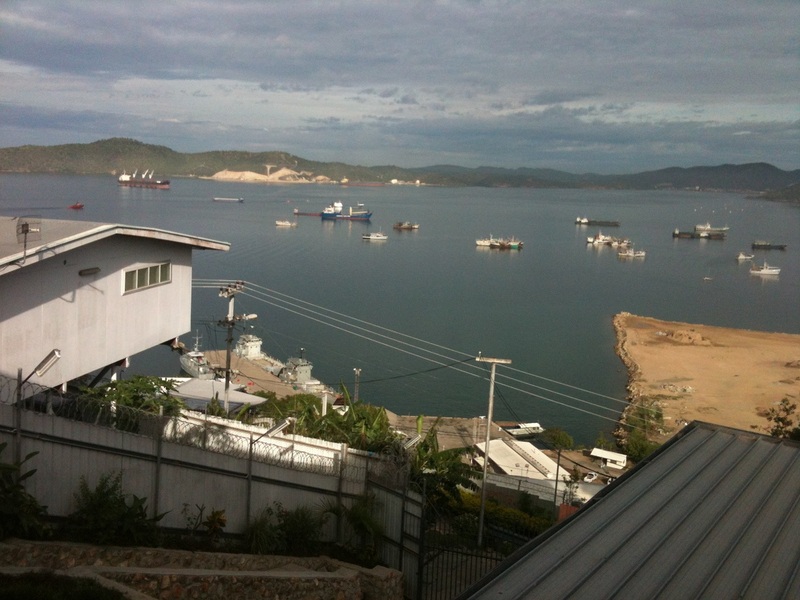 I arrived at Port Moresby airport at about 05:30, feeling thoroughly awful. I went through immigration and both of my bags arrived so I was through customs in no time. As I emerged, my friend Owen was just arriving at the front door to collect me. Owen is a good friend, with whom I have worked before in various dangerous places, including Afghanistan. He is a great guy and I am pleased to have him around. We’ll be sharing an apartment too, which is great because I know he is a good flatmate. We drove to the apartment, which is quite close to the office in which I will be working. 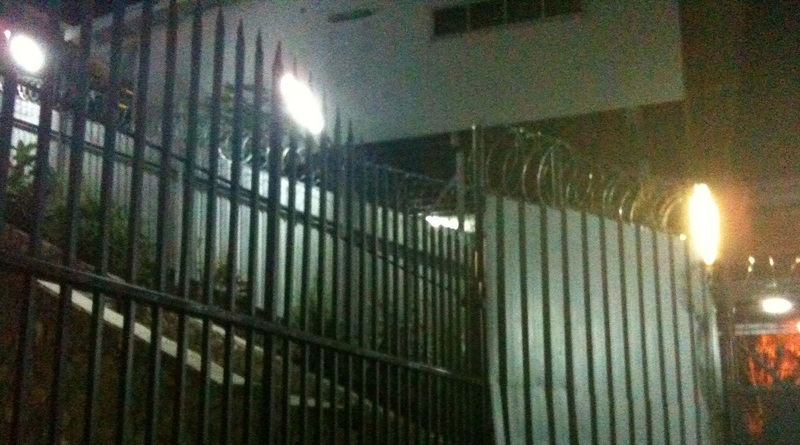 I was surprised with how big the fence is and all of the razor wire around it. It certainly made me feel like they’re taking security seriously, although I’m not sure that it made me feel any better about the risks of being here. The security guard let us in and helped me take my bags up the long flight of steep steps from the gate to my apartment. There was no electricity at the apartment, so Owen showed me around my new home in the dark. Electricity in PNG is sold via pre-paid cards, like cell phone credit – with a code that gets punched directly into the metre to activate the credit. Our electricity credit had run out the night before, but we couldn’t do anything about it until the shops opened at 08:00. The apartment is quite new and well-appointed. A relatively spacious 3 bedroom with a small kitchen and two bathrooms (I have my own, which is nice). I spent some time chatting with Owen on the couch, by candlelight; waiting for the sun to come up. He gave me a run down on where we are at with some elements of the project and the work to come. I am excited about the potential to improve things and really make a big impact on the project. 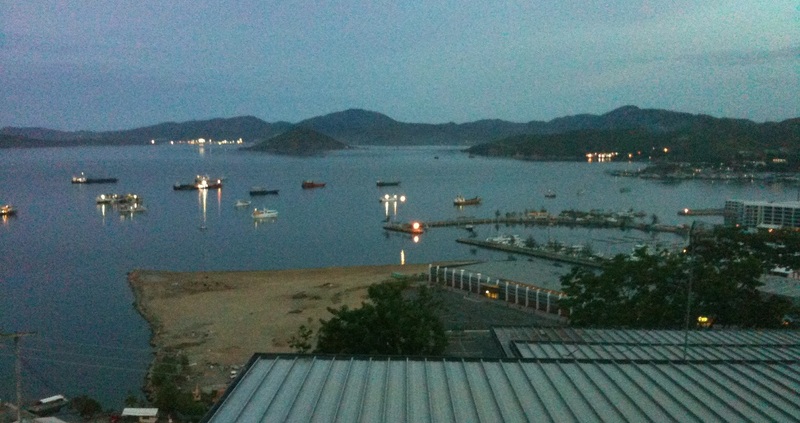 I watched the sun come up from the balcony, which has a spectacular view out over the bay. I had a shower and then walked down the hill to the street, found a taxi and went shopping. First stop was a shop called Brian something, which is a large department store with a broad range of household products. The quality of the stock is great but the prices are astronomical. I just had no idea that things are so expensive here. It’s quite outrageous. A small television (around an 80cm), which would cost $200 in Canada costs about $1,000 in PNG. 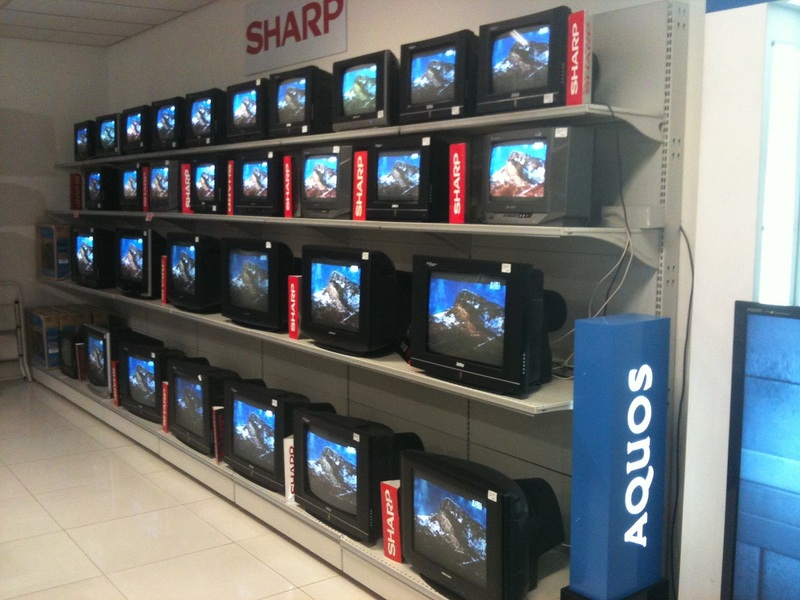 As a result, they still sell the old-style Cathode Ray Tube televisions here. I haven’t seen those in stores for at least 5 years. I bought a few things to set up my room – a small plastic rubbish bin ($30), a bath towel ($60) and a box of six drinking glasses ($30). I had a look at the sporting equipment and I had planned to buy some dumbbell weights but I couldn’t justify paying $325 for a pair. It just seemed a tad pricey to me. Cricket balls cost $50. Fifty bucks for a cork ball made in Pakistan. I could buy a Blu-Ray player back home for that. If I were in Pakistan, for $50 I could probably buy the factory where they make cricket balls. It’s unbelievable. I guess I’ll just have to find a gym if I’m to stay in shape whilst here. 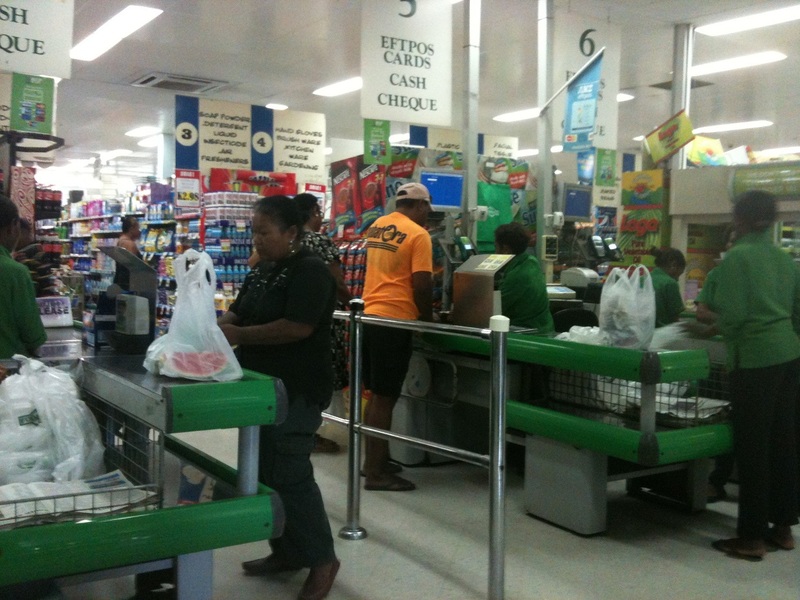 The high prices in PNG are due to everything being imported, combined with incredibly high import duties. Items such as cars attract 120% import duty, and that is levied on the price of the item plus the cost to ship it here. We negotiated with the cab driver for him to wait for us and so he was there when we finished at the first store and took us to a few other stores. 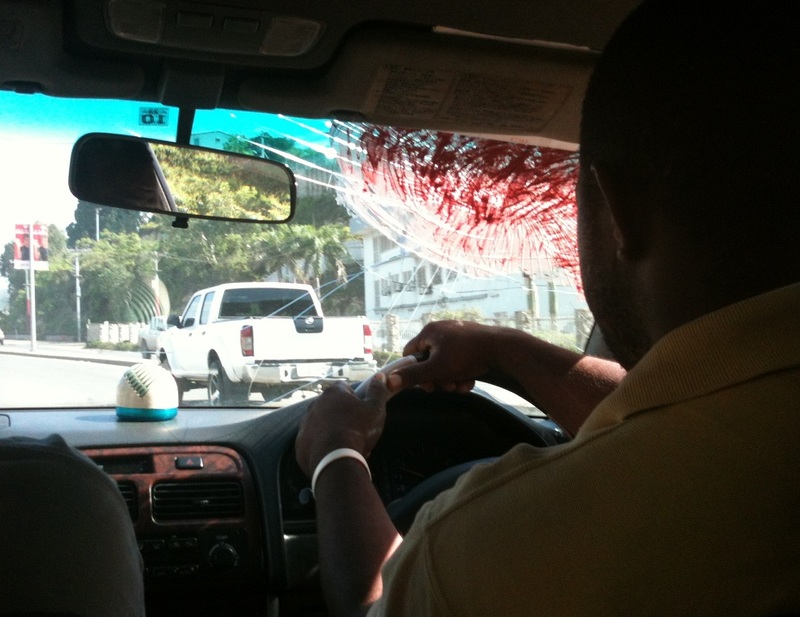 The windscreen (windshield for my North American readers) of his car was smashed in the top right corner and the driver explained that he had smeared bubble gum over it to hold it together. He said that someone had thrown a bottle at his car whilst he was driving through Port Moresby last night. He cannot afford to replace the glass immediately so he is using the bubble gum to give himself more time before paying for a new windscreen. We asked about the cost of cars here and he explained that his taxi, which is an unremarkable Toyota Corolla from the mid-1990s is worth about $10,000 in the second hand car market here. That is crazy. We went to two different grocery stores and a few others to buy things like a SIM card to access the Internet (using a USB wireless modem). The grocery stores have both imported and local produce. The staff are friendly and helpful. Almost all of them were wearing flip-flops (thongs). The imported food is about four times the price it would be in Canada, but the local produce is quite inexpensive. I bought a huge bag of mangoes for a few dollars. I will be trying to eat as much fresh, local food as I can while I am here – both to save money and for my health. I plan to eat a lot of mangoes. We came home and I spent the afternoon cleaning up my room and getting it set up the way I wanted it. I screwed a hook into the ceiling and then strung my mosquito net up from it. Now it looks like a princess’ bed. Owen bought tuna today so he made us sushi for dinner. Our neighbours and landlord, who also live in the compound, joined us for dinner. It was lovely. We sat around eating and drinking. They were mostly drinking “SP” (South Pacific) beer. I passed the brewery that makes it on the way to the supermarket today. We chatted for a few hours, which was interesting. 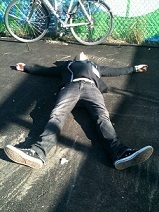 At around 20:00, I started falling asleep in my chair so I bid them good night and crashed. 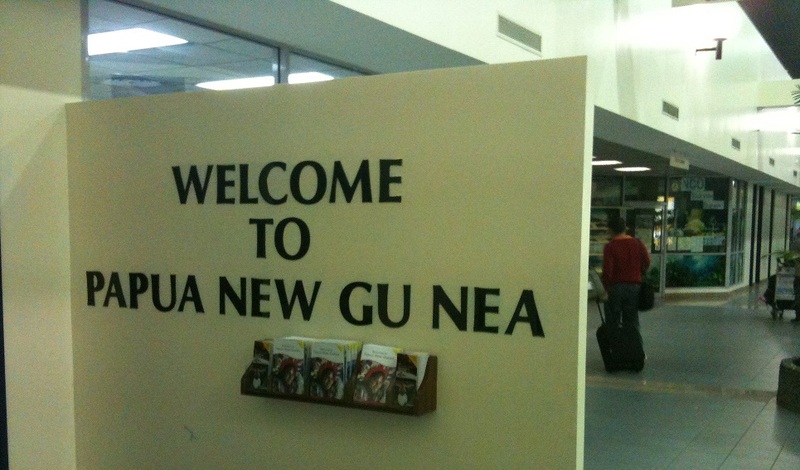 Overall, it was a successful first day in Papua New Guinea. PS: Please post comments or email me to let you know how you’re liking my blog, what you’d like to hear more about, etc. Great blog dude. Keep it up. Lol – great prices. I wasn’t clear on why there was no electricity? It sounds like fruit and fish may be keeping you going. If you need a care package via Canada post let me know. It’ll probably arrive just as you leave. Phew, well that is the first part over with, now, what was i here for ? Very much enjoyed your first days comments Chris. What is the snorkeling and diving like in the area, do they have stingers? Hi Diane. Yes, getting here was a bit of an ordeal, but I’m just about over jetlag now and I’m settling in well. I’ll post some more pics tonight. The snorkelling and diving here is amazing. I’ve been snorkelling and it was incredible – tropical fish and reefs and clear water. Really impressive. I haven’t had a chance to dive here yet but there are many WWII wrecks and I’m told the diving is amazing. Not sure about the stingers. No doubt there are some hazards but I haven’t encountered any yet. Chris-Where i live you cannot even give away your old “Fat Screen” TVs like these. I’m serious, the Salvation Army or Goodwill thrift store wont take them as donations. I see an opportunity here for an import/export business. Bring in flat screens take out mangoes. As all Chlesea fans know ‘Fresh Juicey Mangoes 5£ each’ in London. I know! It’s crazy. It’s the same in Canada – we have to pay to dispose of CRT TVs. Chris, your adventure has begun! I’m glad you made a note to say that was bubble gum on the taxi driver’s windshield…it looked like someone brains so I’m relieved! Hi Effie! It’s an adventure indeed. The bubble gum was kinda gross but it’s a good example of the ‘make do and mend’ attitude here – people can’t afford to replace things so they do what they can with what they have.